The beauty of going out alone is that you can eat in peace. You can choose wherever and whatever you wanted to eat. These moments are rare, however. I get to experience them only when I go to my doctors for check-ups because these days, I usually schedule my doctor’s appointments mornings of weekdays when my son is in school. Hubby can’t accompany me during these trips as he also has work. After consulting with my ENT doctor last Monday, I went straight to Robinsons Galleria with a clear-cut purpose: to eat at Hainanese Delights. It has taken me so long to go back there, almost two years, but I haven’t forgotten their delicious but affordable meals. I already had lunch before going to my doctor, so I opted for noodle and soup. I ordered The Singapore Staple, Php130.00 only, paired with their famous Hainanese Chicken. The Singapore Staple is a simple noodle soup. It only had eggs, pechay wombok, sautéed onions and spring onions. 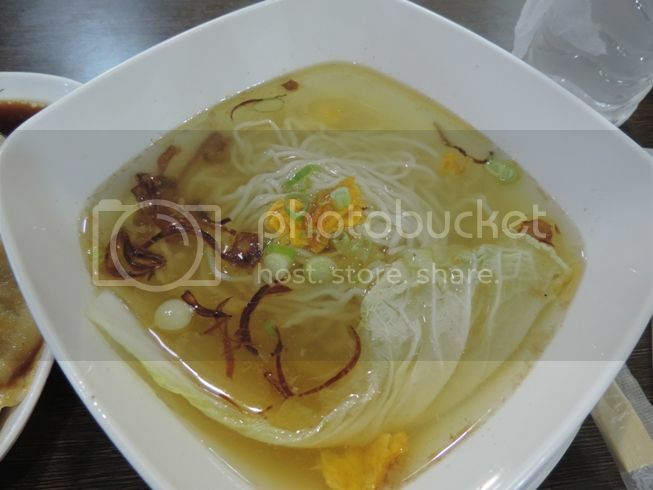 What made this noodle soup special was that it was served with Hainanese Chicken. 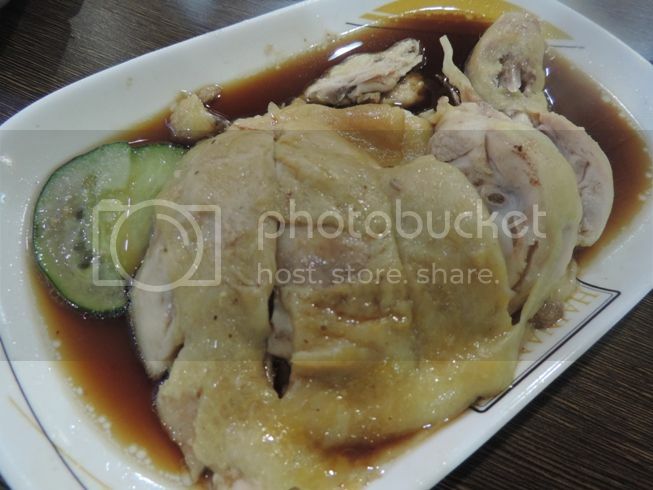 We keep backing back to Hainanese Delights for this Hainanese Chicken. It’s their best-selling white chicken in light and slightly sweet sauce. The chicken meat was so tender and oh so, delightful! I was glad I finally had the chance to revisit Hainanese Delights last Monday, and I will surely come back. This entry was posted in Hainanese Cuisine, Hainanese Delights. Bookmark the permalink. never pa ako nakatikim ng Hainanese Chicken, am I missing a lot?